The Artist-in-Residency program hosts national & regional choreographers to create original work, hold open rehearsals and share their work with the Roaring Fork community. The program's purpose is twofold. First, Dance Initiative hopes to inspire, educate, and spark new (and renewed) appreciation for dance among the our community as well as offer incredible exposure to local dancers. Secondly, we hope that through these residencies, Carbondale can become a known hotspot for unique creativity and an inspirational place for dance creation. Prospective Artists In Residence, please email danceinitiative@gmail.com for inquiries. In 2010, Summation Dance founders Sumi Clements and Taryn Vander Hoop graduated with their MFAs in Dance Performance and Choreography from NYU Tisch School of the Arts. Since the spring of 2010, Summation Dance has self-produced and premiered evening length works annually at Brooklyn Academy of Music and Baryshnikov Arts Center, as well as produced a Dance Education Outreach Festival, Dancing Literate Project, at Judson Memorial Church. The company has also performed at the Jacob’s Pillow Inside/Out Festival, the Dig Dance Series and Fridays at Noon Series at the 92nd St Y, La MaMa Moves Festival, World Dance Alliance Conference, FAB Festival, FlicFest at the Irondale Center, DUMBO Dance Festival, and at Baruch Performing Arts Center, City Center, Judson Memorial Church, Danspace at St. Mark’s Church, Skirball Center, and ZSpace in San Francisco. Summation has received numerous commissions and residencies from venues and universities across the country. Summation Dance will offer an all-levels Dance Workshop and a Studio Performance of their work in progress: Project Highway HabitUS on Saturday, May 11. PUSH Dance Company (popular name: PUSH) is a professional dance group based in San Francisco, which specializes in interdisciplinary performances involving media, technology, collaboration, and site-specific work. Founded in 2005, the Company’s mission is to build vibrant contemporary dances to gain a deeper understanding of the challenges attributed to mixed heritage. PUSH maintains a philosophy that bold movement and intellect can coexist on stage. As a contemporary dance company, the group has garnered a national-touring reputation for exploring little known or unheard voices from marginalized communities. The Company produces the annual PUSHfest & PUSHfest Awards, a multi-genre dance festival that brings together existing works by choreographers working within different dance disciplines and boasts a Dance Education Outreach Program that brings local teaching artists to schools and community centers throughout the San Francisco Bay Area. This residency culminates in a main stage performance at the 11th annual Aspen Fringe Festival. PUSH will perform their profound work Codelining including a new excerpt created during their residency. The project, Codelining, reflects the experiences of mixed and multiracial communities of color, with a particular emphasis on Black neighborhoods. Once a longstanding partnership with the 3rd Street Youth Center & Clinic in the Bayview-Hunter’s Point, the project has now transitioned to engage other young African American women who live and work in San Francisco. The voices of these young people, their families, in their many forms and arrangements have been demonized and marginalized, even at times within their own community. This misperception has led to a dangerous lack of adequate housing and education. Two major residencies developed in 2018 and 2019 at Bayview Opera House, have assisted Artistic Director, Raissa Simpson, in gathering input from the young residents. The goals are to empower them to share their stories about racism in the City’s gentrification and redevelopment policies, claiming artistic space for black bodies, expressing the current dangers of “normalizing” Black out-migration and building equitable relationships between affordable housing and Black residents. By deepening this line of inquiry from the residency to the stage, the project asks the following questions: How will Codelining create a deeper creative exchange for the residents? Can their stories be integrated into movement? What input will the residents give for the outcome of the final production? PUSH will teach a community, all-levels Dance Workshop on Saturday, June 1st followed by an informal Demo + Q & A at The Launchpad. 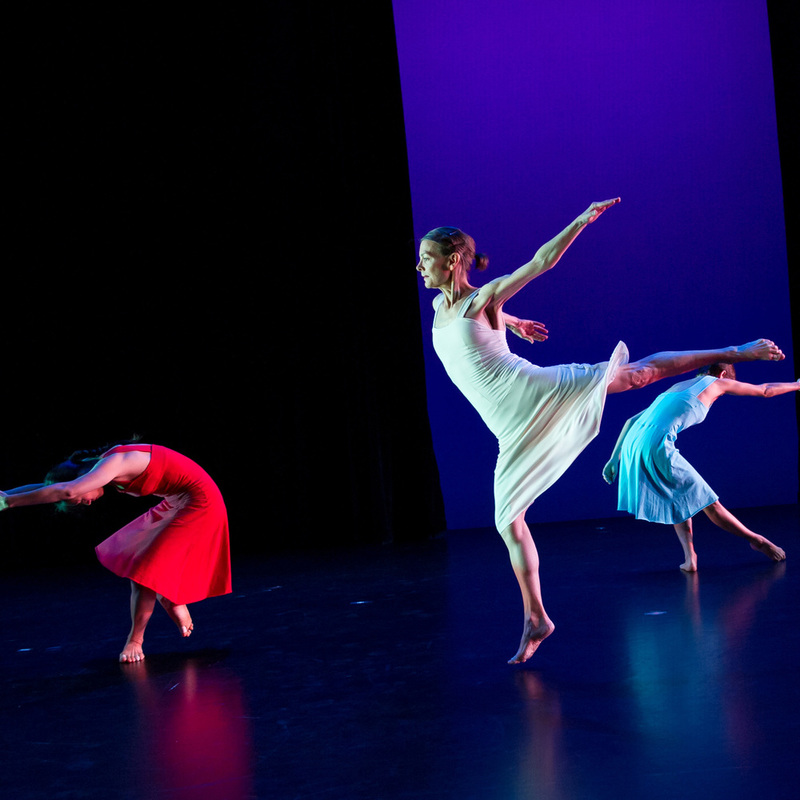 UNA is a NYC based dance company founded in 2013 by Artistic Director/Choreographer Chuck Wilt. UNA's mission is to discover and communicate deeply rooted embodiments of human existence through physically powerful dancing and imagery that is evocative and colorful. UNA is a dance company that focuses on individuality and is dedicated to bringing more joy and life to the world. The company creates fresh dance works for performance and film. Artistic Director/Choreographer Chuck Wilt is interested in investigating more ways to become further connected while communicating diverse human experiences. Through both the dance company and Wilt's correlated artistic endeavors, UNA Projects creates more opportunity for performers, emerging choreographers and other artists. Learn more about UNA Projects. Dylan Crossman grew up in the south of France and received his Bachelor’s degree from the Laban Centre in London. He moved to New York ten years ago and has danced for various choreographers including Brian Brooks, Wally Cardona and Sean Cúrran. Dylan joined the Merce Cunningham Dance Company in 2009 and was a part of the company’s final tour. Now living the freelance life, he works with Kimberly Bartosik/ Daela, Sally Silvers, Ryan McNamara, Megan Williams and Pam Tanowitz Dance. He is on faculty at the Cunningham Trust, CUNY Purchase and Burklyn Ballet Theater (VT). Dylan's own company, Crossman Dans(c)e, looks at identity issues within the frame of formalism and the beauty in vulnerability. A 2016 Schonberg Residency fellow at David White's The Yard, Dylan was also presented by David Parker as a part of Gibney's Double Plus series in 2016 and by Abrons Art Center in 2017, thanks to Jay Wegman and a Jerome Robbins Foundation grant. Dylan also works with children as well as adults, introducing them to Merce Cunningham's creative ideas and philosophy. Crossman will be dancing with Sumi Clements, Jason Collins, and Christine Flores. Learn more about Dylan Crossman. In 2005, Palestinian-American choreographer/Artistic Director Samar Haddad King established Yaa Samar! Dance Theatre (YSDT), a contemporary dance company in New York City. Over the past 12 years, YSDT has created more than 30 original works, including solos, small ensemble and group pieces, which tell the stories of underrepresented communities and have been performed throughout New York City at venues and festivals including: Downtown Dance Festival, Whitewave Festival, Joyce SoHo, Harlem Stage, LaGuardia Performing Arts Center, Queens Museum of Art, Teatro LATEA, and Tribeca Performing Arts Center. YSDT has been awarded space residencies from the Lower Manhattan Cultural Council, LaGuardia Performing Arts Center, Palestinian Museum, Queens Museum of Art, and Tribeca Performing Arts Center; and grants from the A.M. Qattan Foundation, Arab Fund for Arts and Culture, Dance/NYC Dance Advancement Fund, Foundation for Contemporary Arts, New York Department of Cultural Affairs, New York Foundation for the Arts and US State Department, among others. In 2010 the company expanded its footprint to the Arab world, and now has dual locations in New York City and Palestine. From this international position, the company has taught and performed at international universities and festivals, museums, UN refugee schools, juvenile detention centers, and site-specific locations throughout France, Germany, Japan, Jordan, Palestine, South Korea, and Tunisia, and fostered the careers of more than 50 emerging artists in the US and Arab world. YSDT aims to inspire trans-national dialogue and social discourse through artist development, education, and live performance. Learn more about YAA SAMAR! Dance Theatre. STAYCEE PEARL dance project (SPdp) came to Carbondale all the way from Pittsburg, PA to join Dance Initiative for a week long Artist In Residence at The Launchpad this past September. Under the direction of choreographer Staycee Pearl, SPdp strives to interpret and mirror culture and community through dance and dance centered multi-media experiences and occasionally examines the works of celebrated legendary and contemporary artists of the African Diaspora. Staycee Pearl received her initial dance training at the Alvin Ailey American Dance Center. Once she relocated to Pittsburgh, she began her six-year tenure as artistic director of Xpressions Contemporary Dance Company, premiering numerous choreographic works and performing choreography by celebrated national artists such as Rennie Harris, Robert Battle, and Kyle Abraham. Mrs. Pearl graduated from the University of Pittsburgh with honors in Studio Arts/Africana Studies and continues to produce multi-media work with her husband Herman ‘Soy Sos’ Pearl. Her work as a choreographer has been supported constantly by the Heinz Endowments and The Pittsburgh Foundation since 2001. She is humbled to have been nominated for the Carol R. Brown award three years in a row for dance and multidisciplinary arts. Carbondale local, Deborah Colley, the dancers of CoMotion, local musicians Morgan Williams, Sarah Morehouse, Eric Baumheier, Dylan Fixmer, and filmmaker Jeremiah Hutchens created a outdoor installation and film. Deborah Colley, director of the project, is a local performer, educator, organizer and choreographer. She is a founding member of CoMotion: a conscious movement project and is the choreographer of Carbondale Arts’ Green Is The New Black Fashion Extravaganzas. Letter to Congress: a WILD sanity is inspired by Wallace Stegner’s famous Wilderness Letter written in 1960 to Congress. This letter supported the preservation of wilderness not just for ecological purposes, but for the sake of human sanity, and spirit. In his words “We simply need that wild country available to us, even if we never do more than drive to its edge and look in. For it can be a means of reassuring ourselves of our sanity as creatures, a part of the geography of hope”. With this film and performance, Deborah and her collaborators are creating a similar letter advocating for protection and wild public places for sanity’s sake, but are trying a different tactic- which is to utilize the power of art to communicate things that can not always be said and felt with words. This letter will be danced, spoken, and sung into some of the most inspiring public lands found in the Rocky Mountains. And since many lawmakers do not have time to get outside, we are bringing that experience to them through film. Dance Initiative welcomed a unique choreographic partnership, Marielis Garcia & David Norsworthy, as Artists In Residence at The Launchpad May 21 through 28. Garcia and Norsworthy are inspired by the inherent and inevitable incompleteness of process. Driven by choreographic questions and philosophical curiosities, they seek to undo the conventions of dance performance by cultivating unique situations that invite contemplation and connection. They believe their primary responsibility is to engage communities in artistic experiences. Born in Toronto, Canada, David Norsworthy is an internationally acclaimed performer, choreographer and teacher. He graduated from The Juilliard School in 2013 and has since performed professionally for companies in Canada, the USA, Sweden and Australia. Norsworthy is the Founder / Artistic Director of FRESH Dance Intensive, a workshop series that has inspired over 5100 young people in 6 Canadian provinces since 2007, and Co-Founder / Co-Artistic Director of TOES FOR DANCE, an outreach and exchange initiative that has received critical praise from The Globe and Mail and The Dance Current. In 2016 he was named one of the 25 Most Influential Young Choreographers by Narcity Toronto. Marielis Garcia, a native New Yorker, is currently a member of the Brian Brooks Moving Company and Peter Kyle Dance. Marielis received her BFA in Dance from Marymount Manhattan College and has performed with ODC of San Francisco, City Dance Ensemble, Douglas Dunn, Stefanie Battan Bland, and the Steps Repertory Ensemble in NYC. Marielis’ work has been requested by Appalachian State University, Salem College, Howard Community College and University of North Carolina Greensboro and currently teaches at Rutgers University, The Washington Heights Community Conservatory of Fine Arts and in NYC public schools. Garcia and Norsworthy’s residency utilized the Carbondale community during two Creative Process Workshops which included simple movement exercises, personal reflection and group discussion during which they collected passing thoughts, anecdotes, jokes, profound questions, silly curiosities, fascinations, political concerns and transformed them and abstract into choreographic scores and structures that they performed. This choreographic work is part of a series of small community snapshots from all over the country. NYC-based dance artist Christian Axelsen is a graduate of the Merce Cunningham Professional Training Program where she performed alongside the Repertory Understudy Group and through the course of her professional dancer career has performed with Molissa Fenley, (a former Dance Initiative Artist in Residence, 2017), Christopher Williams, Pam Tanowitz, Beth Gill, zoe|juniper, Korhan Başaran, Courtney Krantz, Michou Szabo, Dai Jian, Mana Kawamura, Raja Kelly, Dylan Crossman and Jules Skloot among others. Her choreography has been presented in New York City at DanceRoulette, The Invisible Dog, Mabou Mines, Brooklyn Arts Exchange, Dixon Place, and the Women in Motion Salon Series in addition to various places nationally and internationally. During her week long residency, Axelsen worked with two former NYC dance colleagues, Sumi Clements and Meg Madorin (also a recent Dance Initiative Artist in Residence, 2016) to create a new work. New York City artists Rashaun Mitchell + Silas Riener, whose faces were recently featured on the cover of Dance Magazine, originally worked together as members of the Merce Cunningham Dance Company until 2009 and today they collaborate to create dance works both on and off the stage that are known for continually pushing the boundaries, fabricating complex and active spatial environments, and incorporating elements of fantasy and absurdity! Their work has been presented at the Vail International Dance Festival, MoMa, The Chocolate Factory, Danspace, and The Whitney Museum of American Art. Independent of one another, Rashaun Mitchell and Silas Reiner have led impressive dance careers. Mitchell's accomplishments include a 2011 "Bessie" Award for "Sustained achievement in the work of Merce Cunningham, 2004-2012" and a 2012 "Bessie" for "Outstanding Emerging Choreographer". Riener also received a "Bessie" Award in 2012 for his solo performance in Cunningham's "Split Sides". Together Mitchell and Riener have received a 2014 City Center Choreographic Fellowship, were selected for Lower Manhattan Cultural Council's inaugural Extended Life Development Program, designating them as some of the very few individuals licensed to stage Cunningham's repertoire. In addition to all this, they were listed as Dance Magazine's "25 to Watch." Their work takes many forms, from site-specific installations, improvisational dances, and traditional proscenium pieces to highly crafted and intimate, immersive experiences. After working together for years in the Merce Cunningham Dance Company, Mitchell and Riener began collaborating on projects that continually push at the unraveling boundaries of dance research while still representing the strong historic influences that Cunningham had on contemporary dance in the United States. Mitchell and Reiner worked with four additional members of their company at The Launchpad on a new section of Tesseract, a collaboration with filmmaker Charles Atlas. HEWMAN is an unconventional collaborative dance project from New York City and was founded by Juilliard graduates Jason Collins, James Lindsay Harwell, and Ingrid Kapteyn. 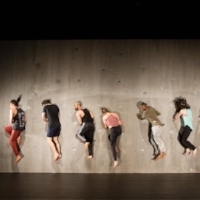 HEWMAN’s works are unique in that they strive to involve at least one medium other than dance, are created through collaborative and open-ended creative processes and presents dance in new spaces where dance performance is not usually found. HEWMAN was founded by 2013 Juilliard School Dance graduates, Jason Collins, James Lindsay Harwell and Ingrid Kapteyn in January 2014 and it has since grown into a collective with a long term vision that absorbs new collaborators for each project. In addition to founding HEWMAN, Collins, Harwell, and Kapteyn choreograph and perform in their own work. Joining them in their residency with Dance Initiative is dancer and costume designer, Victoria Bek, theatre director Jordan Geiger (a Denver native), and dancer Caitlin Taylor. HEWMAN’s current work in progress, “THIS IS NOTHING WITHOUT YOU”, will be the focus of their residency and is a collaboration between HEWMAN, a composer Andrew Funcheon, and Geiger. This new work will premiere in New York City in early August. Though Collins, Harwell, and Kapteyn feel most in their element when working together, they each work professionally for other choreographers. Collins, originally from Defreestville, New York, currently performs for and collaborates with performance artist Ryan McNamara and choreographers Christopher Williams, Dylan Crossman, and Danielle Russo. Additionally, Jason has had the pleasure of working with Pam Tanowitz, David Parker & The Bang Group, Wally Cardona, Jennifer Lacey, Mary John Frank, and Igal Perry. He was recently featured in Opera Omaha’s production of John Adam’s A Flowering Tree (Dir: James Darrah, Ch: Zack Winokur), and in Opéra National de Bordeaux’s production of Rameau's Dardanus (Dir: Michel Fau, Ch: Christopher Williams). Harwell, originally from Dallas, TX, has toured internationally with Gallim Dance in the summer of 2014 and nationally with Brian Brooks Moving Company from September 2014 to March 2015. Kapteyn, originally from Deerfield, MA, has been working and touring with Brian Brooks Moving Company since April 2014, she performed in Punchdrunk NYC’s “Sleep No More” full-time from February 2013 to May 2014 and continues to make occasional appearances in the show. She was also a dancer in The Metropolitan Opera’s 2013-14 season productions of Eugene Onegin and Prince Igor. She has taught workshops throughout North America and Iceland, including with FRESH Dance Intensive and at Princeton and Bucknell Universities, and she serves as the New York Administrator and Assistant to the Artistic Director of Springboard Danse Montréal. This spring Ingrid will be performing the role of Mary Chase in Martha Clarke's Off-Broadway production Angel Reapers at The Signature Theater. Together Collins, Harwell, and Kapteyn make quite a creative team. HEWMAN’s residence will take place July 11- 16 at The Launchpad. During this week long residency, HEWMAN will be taking advantage of the Carbondale Farmer’s Market on July 13 between 1pm and 2pm for a site specific pop up performance. The public is welcome to observe and possibly participate in HEWMAN's creative process during an open rehearsal on Thursday, July 14, from 4pm to 6pm at The Launchpad. On Saturday, July 16 from 10:30am to 12pm, Dance Initiative will offer an all levels workshop at The Launchpad titled "HEWMAN Being" during which participants will explore the company's creative process using elements of contemporary dance.. A studio presentation of HEWMAN’s work in progress “THIS IS NOTHING WITHOUT YOU” on Saturday, July 16 at 8:30pm with a Q & A with the artists to follow. Tickets and workshop registration is $15 for each or $25 for both. Reservations are suggested as space is limited! Laura Ann Samuelson and Meg Madorin both hail from Colorado’s Front Range. Madorin recently re-located to Denver from New York City where she had been fortunate to work with several creative artists in New York, namely as a member of the Trisha Brown Dance Company from 2012-2014. She has more recently been a teaching artist at Denver School of the Arts and Gibney Dance in New York. Samuelson is a three-time recipient of the Encore Performance Award at Boulder International Fringe Festival and has been an artist-in-residence at the Colorado Conservatory of Dance and at SKOGEN arts in Gothenburg, Sweden. Laura Ann was named one of Colorado's most creative minds in Denver Westword's "100 Colorado Creatives Series" (2014). Madorin and Samuelson teamed up for Dance Initiative’s Artist In Residence program with the intention of researching the intersection of improvisation and composition in collaboration with local dance artists Alya Howe, Chloe Burton, Dana Ellis, Deborah Colley, Emily Fifer, and Meagan Shapiro (each members of CoMotion). Through this investigation, a new performance work titled I'm Going. Middle. End. was built by letting go of creating a composition of set movement, and instead creating a sort of game which the CoMotion dancers perform by following the rules, or, in some cases, breaking them. The game will have been practiced many times, just like soccer or basketball. And just like those other games, the actions that will be occuring during “game-time” or the performance will be happening for the first time, giving viewers and performers, alike the opportunity to bask in the excitement of real-time discovery. And then there is a twist of a performing choosing to break the rules. Madorin’s solo , We Care, is much more intimate, personal, and is also a traditional presentation of dance. The solo is a work in progress, created by Madorin with dramaturgy by Samuelson. Both works will be performed on June 3 and 4 at 8:30pm at The Launchpad. Our very own Alya Howe, who served as an Artist In Residence in 2015, was commissioned to create another original work involving multi media and the community. Howe's remarkable dance career is unknown to many in the Roaring Fork Valley. She professionally danced with the critically acclaimed Jose Limon Dance Company NYC, performed as a soloist with renowned tabla player Zakir Hussain, and served as a faculty at the Laban/ Bartenieff Institute NYC. Her own choreography has been performed internationally. She currently teaches yoga in Carbondale and co-curator and founder of The Salon, Writ Large, and the Poetry Brothel at Justice Snows. She is also teaching Dance Initiative's professional training class for CoMotion Company Members. Dance Initiative kicked off its Artist in Residency Program on March 27 with a special performance by Control Group Productions directed by Patrick Mueller, Dance Initiative’s first Artist in Residence. Mueller, who has performed in NYC with numerous companies such as the Troika Ranch Dance Theater and in Europe with the Ben J. Riepe and Mancopy Danse companies, is faculty and production manager at the Colorado Conservatory of Dance, one of the leading pre­professional dance programs on the Front Range. Mueller worked with Carbondale’s contemporary dance company CoMotion over a three month period with a public presentation of his work, Damage: The Implicit Hazards of Parallel Play on June 6 & 7 at The Launchpad. The work was be presented again during the Spectrum Dance Festival on October 16 at the Thunder River Theatre. FALL 2015: MOLISSA FENLEY & CO.
Dance Initiative was privileged to host internationally known choreographer, Molissa Fenley, as our second Artist In Residence in 2015. Over the course of Fenley’s 36 year long career, she has produced over 75 original works that have been performed on every continent and in the United States at the Joyce Theater, Summerstage, The Kitchen, City Center, Alice Tully Hall, Lincoln Center Out­of­Doors, Jacob's Pillow and the American Dance Festival. She is also faculty at Mills College. Fenley was accompanied by two of her company members, Christiana Axelson and Rebecca Chaleff. The week long residency began on September 7 and included open rehearsals, workshops, a talk at the Carbondale Library, and a studio performance of Fenley's works in progress and excerpts from other finished works. Our Molissa Fenley residency was supported in part, with funds provided by the Western States Arts Federation (WESTAF), The Colorado Creative Industries, The National Endowment for the Arts, The Embrey Family Foundation & Alpine Bank. Our final Artist In Residence of 2015 was our very own Alya Howe, whose remarkable dance career might be unknown to the Roaring Fork Valley. She professionally danced with the critically acclaimed Jose Limon Dance Company NYC, performed as a soloist with renowned tabla player Zakir Hussain, and served as a faculty at the Laban/ Bartenieff Institute NYC. Her own choreography has been performed internationally. She currently teaches yoga in Carbondale and co-curator and founder of The Salon, Writ Large, and the Poetry Brothel at Justice Snows.